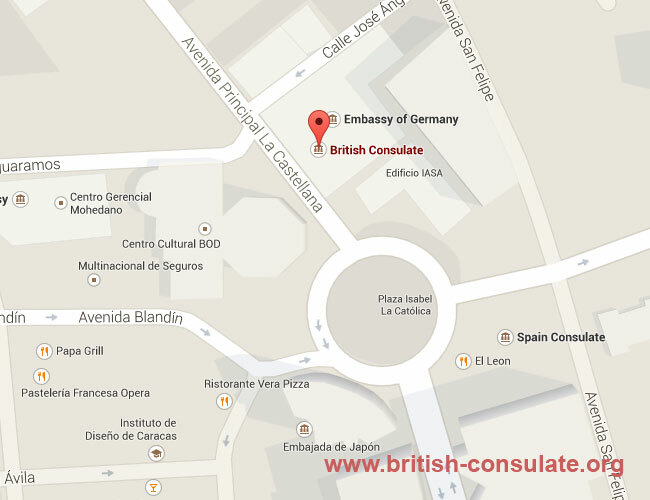 The British Embassy in Venezuela is located in Caracas. If you are a British national in need of a new passport or you want to renew your British passport then speak to the staff at the embassy in Caracas. If you wish to visit Britain then you will require a visa. This is mainly a tourist visa which can be issued to you. If you are married or engaged to a British national then you can apply for a spouse visa or a fiancee visa for Britain. The details of the embassy and a map has been added below.